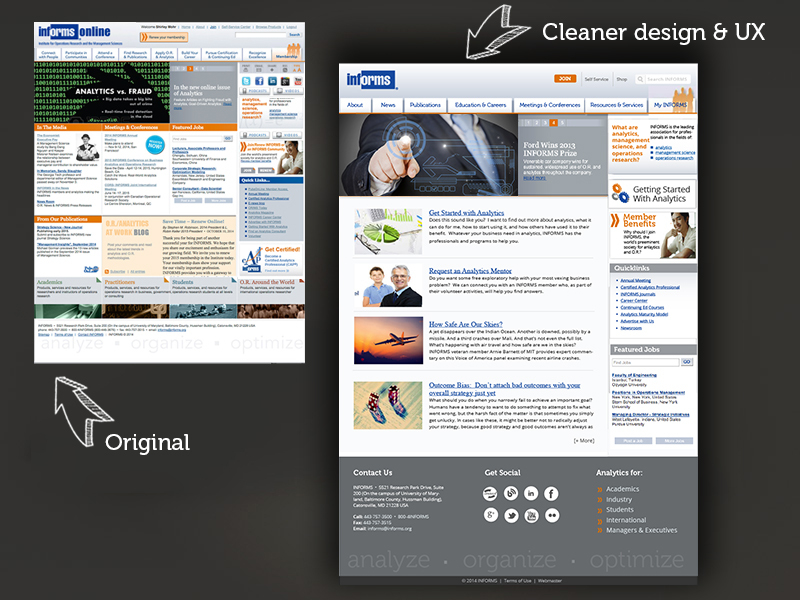 INFORMS Main site was originally designed as a text-heavy portal site. In following years and in following new web trends, it was decided the site was too busy and difficult to navigate. This mockup is the final accepted redesign with UX changes which include changes and additions recommended by PR consultants. This work is in progress.